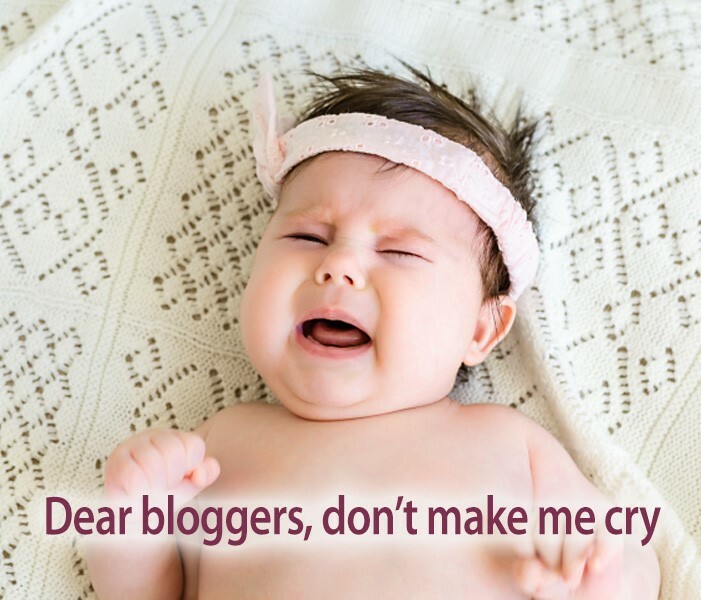 Dear bloggers, can you please stop making me cry. Or even whimper a little. Every time I see an AdSense banner on your blog, my heart breaks. Please understand this heartbreak is not based solely on my position as an affiliate manager. It goes much deeper. Online marketing professionals recognize AdSense in an instant. However, most likely, your followers are not online marketing professionals. Your followers visit your site and see only the ads themselves. It’s not unreasonable for them to make the assumption that the brands in your AdSense widget must have a direct partnership with you and/or that you support those brands. And therein lies the danger! If you have not installed AdSense on your site, think about this: Do you want the ability to hand select brands appearing on your site? Do you want your name to be directly associated with any particular brand? More importantly, do you want control over brands associated with your blog? If you have already installed AdSense, are you happy with the advertisers appearing in your banners? Bloggers can ensure they have control of the advertising by removing (or never installing) AdSense. A blogger negotiates a sponsored post and develops a great brand story using brand supplied verbiage and keywords. Then, they get a call from the brand rep complaining about the appearance of a competitors’ ad. How does this happen? The AdSense keyword phrases selected for the sponsored post triggered AdSense to place the competing brand’s banner on the site. This prime example illustrates how AdSense can hinder your larger marketing initiatives. Yes, bloggers can blacklist certain URL’s but this is time consuming and often ineffective. No one gets rich using AdSense. Sure, AdSense is easy to implement but have you ever heard anyone say, “I make my living from my AdSense banners?” Probably not. Why? The conversions are low and so are the payouts. Paid Advertising. Also known as paid placement where brands pay for banners or prominent placement on a bloggers’ site. Sponsored Posts. Brands pay a set fee for bloggers to write reviews or other branded content about their product. Many bloggers are solopreneurs. Companies and advertisers court them for their individual influence and unique voices. They ARE their brand. Using a service like AdSense can jeopardize the integrity of their sites and limits earnings. If your blog niche is health and wellness, and you’re ready to let go of AdSense, it’s time for us to connect. I represent Grokker.com and Healing Natural Oils. Both brands offer high quality wellness products and may be a great fit for your site. Click here to get the conversation started.